Balestier Road is an odd one. You can go there with a very wild and varied shopping list (freshly ground coffee, light fittings, a fancy new toilet, and you could stay in a cheap but dingy hotel if all the shopping wore you out). I will miss walking down Balestier. It is also known for it’s wide variety of food offerings. 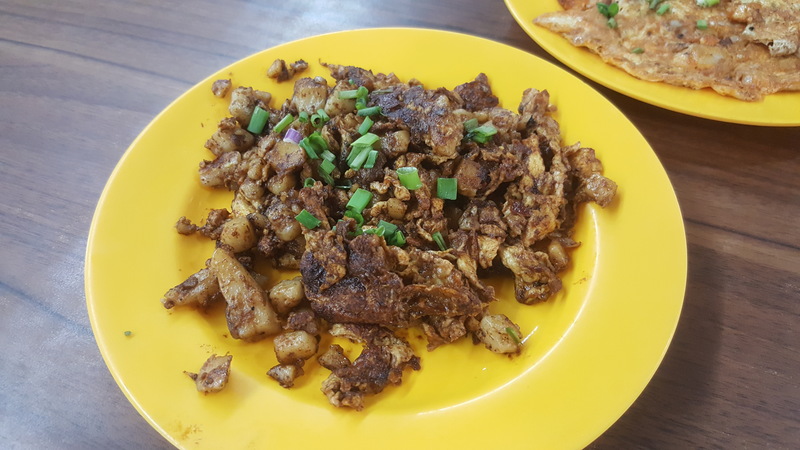 Balestier Food Centre is a small but well stocked hawker centre. When I arrived in Singapore back in 2011 it was being refurbished (it does have some decent toilets there it has to be said). 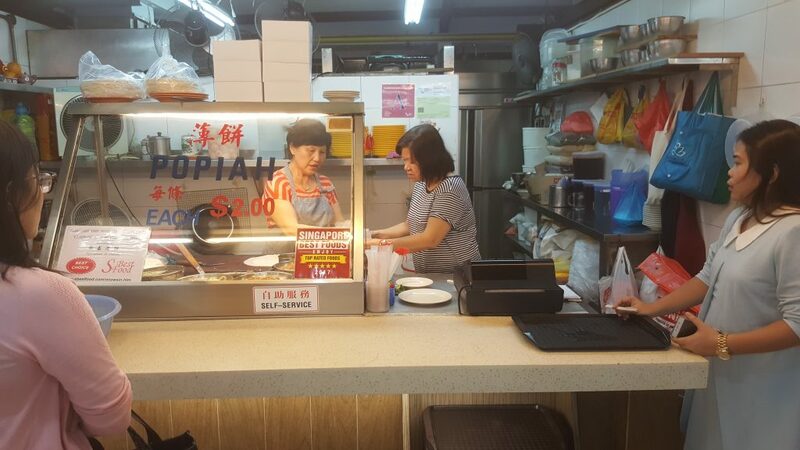 I went there one evening during the World Cup to grab some eats and found the Miao Sin Popiah stall run by two very friendly ladies. 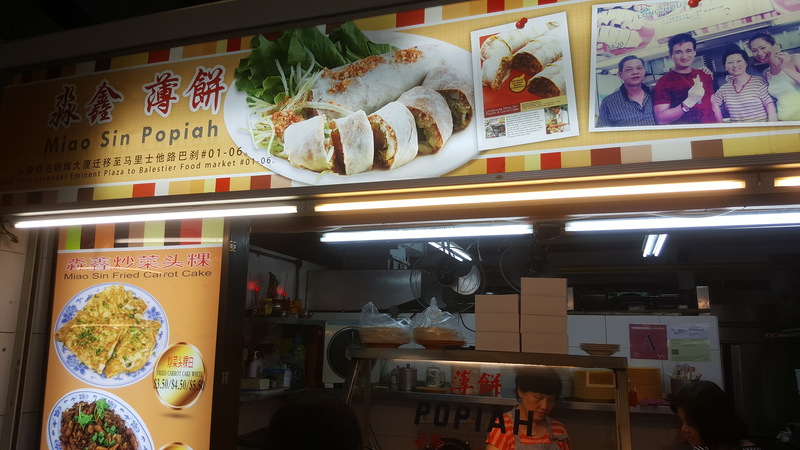 Popiah wasn’t on my mind but it certainly was one of the foods I hadn’t tried yet so when I saw it I had to get it. I saw it and I got it. Along with a reacquaintance with carrot cake (white) and an introduction of black carrot cake. Popiah was $2 and the medium sized carrot cake was $4.50. 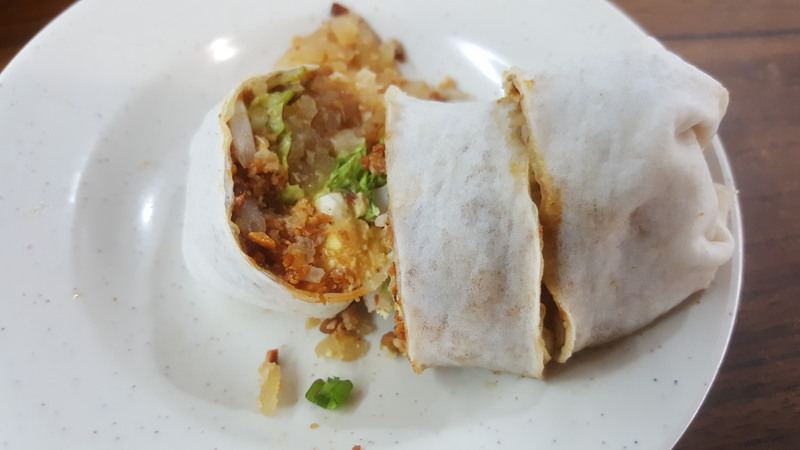 First up popiah. 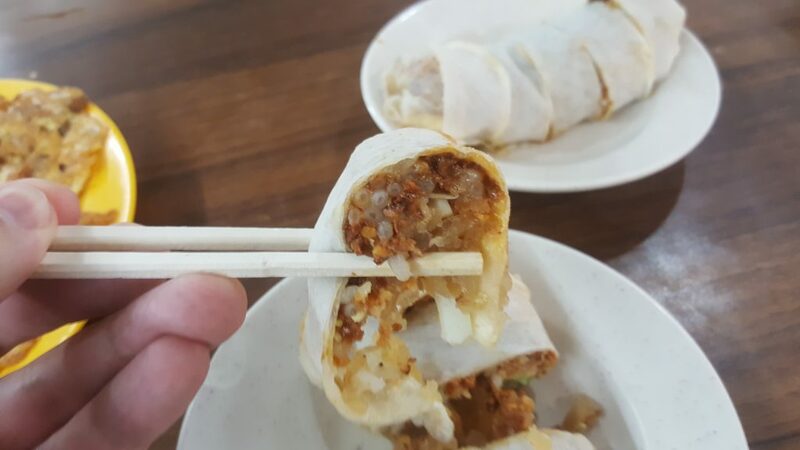 It has it’s origins in the Fujian province in China and it takes the form of a crepe type of spring roll with a filling of thinly sliced tofu, chopped peanuts or peanut powder, fried shallots, and shredded omelette. The fillings change per establishment. 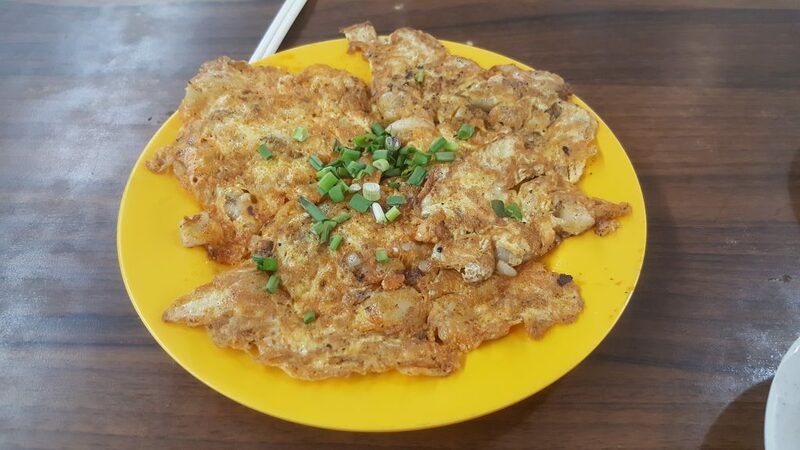 It’s nice, light, and has nice combination of soft and crunchy. The crepe wrapping is thin but has some substance to it which adds a little sandwichy feel to the eating process. Mechanism. 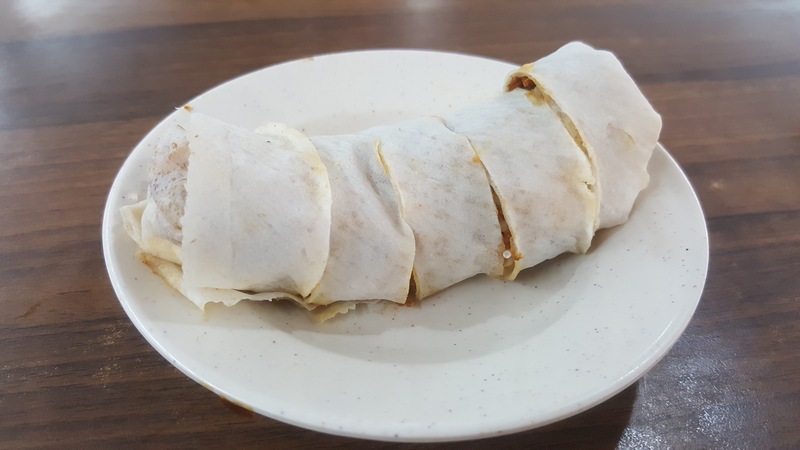 I was very happy to get the small little dish of popiah scraped of my list before I left Singapore and I would definitely pick it up again as a nice little light snack or starter to a main meal.